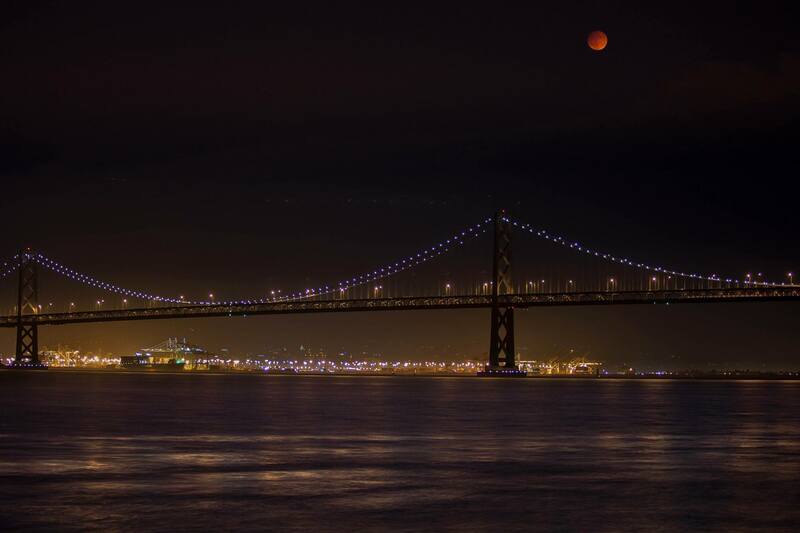 Photographer Adam Derewecki took this picture from the Exploratorium; a total lunar eclipse and a blood moon over the Bay Bridge in San Francisco. What a wonderful universe we are part of! Adam is one many (professionals and aficionados) members of San Francisco Bay Area Photography who went up and down to get the best shot of the moon. They do this often; their passion at work and our total gain as we get to see marvelous images as soon as they happen. 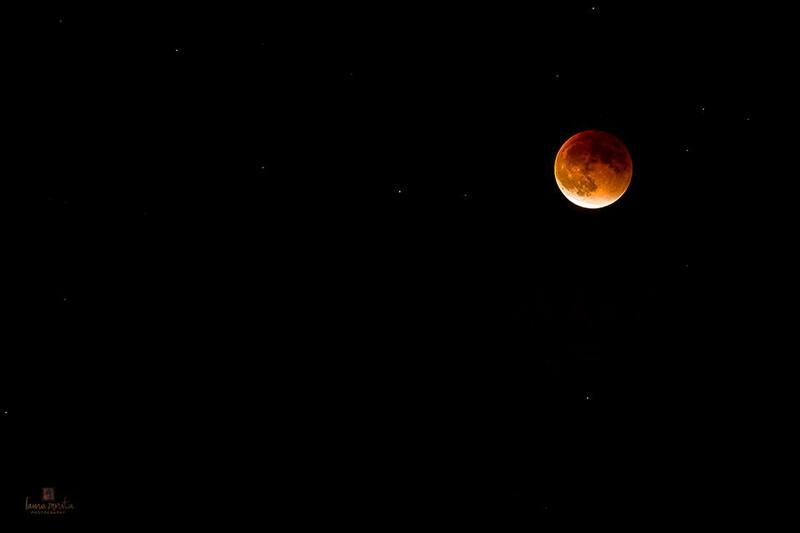 Laura Morita, also a member of this Facebook and Meetup group, shares her picture of the red blood moon from a large park in San Francisco. “There were clouds blocking it early on. When they cleared enough for us to get our first glimpse, the entire crowd of people at the park erupted into applause. Our universe is incredible,” Laura said. Tonight marks the fourth time a blood moon occurs, starting in April 2014. The total lunar eclipse, however, had not occurred since 1982, and it will not repeat until 2033. Previous What a treat: the Cole Valley Fair. Next How About Reading to Students in Beautiful Oakland Next Week?